A selection of my bronze sculptures, will once again, be exhibited at the show this year with Collier and Dodson on the first floor. I am proud to show the life size Baby Elephant for the first time. I am delighted that once again Collier and Dobson will be showing my work at Olympia. Occupying their usual large site on the upper level, I wish them a very good show. I am delighted to be spending the week 4th-9th April at Nature in Art near Gloucester. I will have some finished work on show, a chance to see something of the process as well as working on a new sculpture. 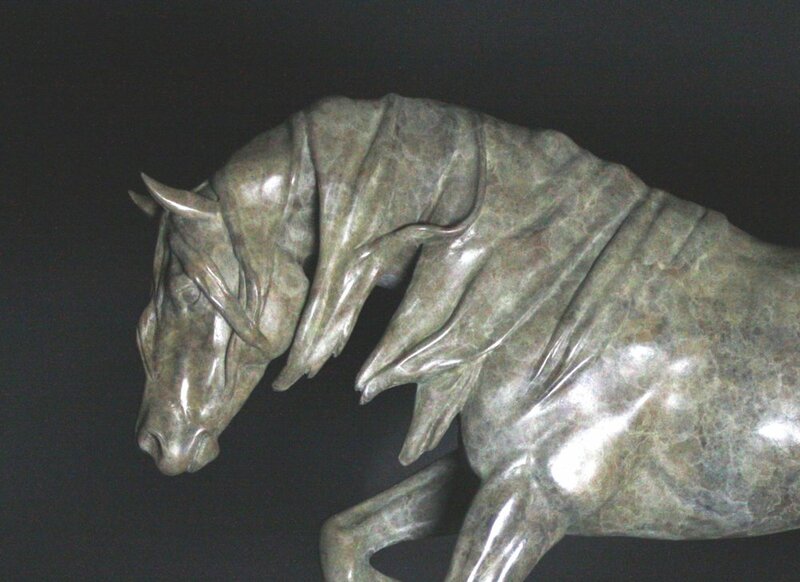 I am delighted to be showing some sculpture with Collier and Dobson at this week's Olympia Horse Show. His impressive stand on the upper floor is always a great place to see some great artist's work and I am proud to be there. Recently completed at Chester Zoo- A life size bronze sculpture of Chester Zoo's much loved Chimp, Boris, by Gill Parker.